Can You Hire a Handyman to Assemble Furniture? 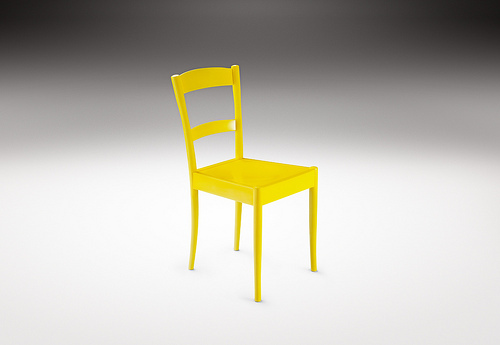 Photo of a chair that somebody assembled by Haldane Martin/Flickr Creative Commons. I recently bought some new blinds to spruce up my ancient little beach bungalow cottage. They’re gorgeous, dark stained bamboo wide-slat roll-up blinds that exude just that perfect balance between “lovely” and “low maintenance,” which pretty much sums up my entire style. I ordered them 3 weeks ago. They are sitting in the corner of my living room. They’re not even that complicated! And it’s not like I’m incompetent with a power tool. I built stage sets in high school and college, for goodness sake! Still, I opened the box and pulled out the instructions and was just . . . immediately bamboozled. Confuzzled? Confounded! What I mean was, I was overwhelmed just looking at the directions and I swear they sent me twice as many hardware parts as they were supposed to. Or else I was totally reading it wrong, which is probably the case. And that’s just blinds! Not even furniture, like a chair, or way super complicated furniture, like a wraparound desk with a built-in bunk bed and footlocker. And it got me to thinking, what if I really can’t get these blinds up (of course I can, but bear with my hypothetical here – pretend I’m doing the desk/bed/footlocker thingy), what then? Did you know you can just hire a handyman to assemble your furniture? It’s true! A handyman is a jack-of-all-trades, and if it involves tools, they can probably do it. Furniture assembly – from a deck set to a baby’s crib – falls under the category of carpentry, and it’s well within their skill set. A handyman should charge between $25-$75 per hour, depending on many variables including your location, their skill level/experience, their credentials, and the scope or nature of the job. Furniture assembly is definitely on the lower end of “necessary skills,” but remember that anyone charging less than $20-$25 is probably underqualified. Always discuss the job before you hire someone, and make sure you’re clear on payment before you allow them to begin working. They should be able to give you an estimate of time and cost, and they should stick to it. In cases where you’re asking a handyman to assemble furniture, you may even want to propose a flat rate fee instead of an hourly wage. For me, it’s good to know that no matter where I am and no matter what complicated contraption I may order while stumbling around the Internet late at night, there will be someone available to help make my furniture dreams a reality . . . no matter how crazy they may be!